Committing mistakes in WordPress may lead to problems with your site security. 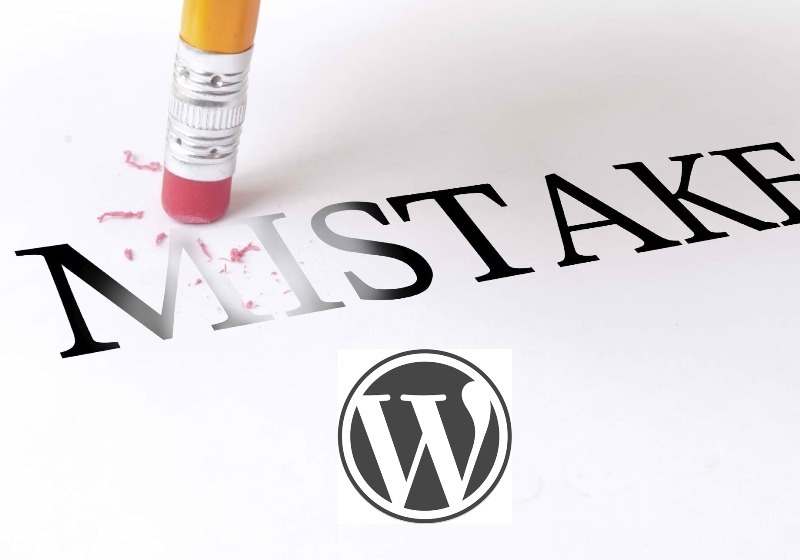 In this article, we are going to identify some WordPress mistakes and how you can avoid them on your WordPress site. By changing the default WordPress login name admin makes it harder to hack into your site. Once you use admin with a less than fortress-strong password, you’re asking for a hacking attack. If it happens that your site administrator is posting content, then their username is displayed there. Put your administrator at the back-end of your site and create a contributor account as an author or editor. While writing the content, you must post it under a different name. By default the tables in WordPress start with ‘wp_’. However, you can create another predictable way for hackers in your site options table as ‘wp_options’. During installation of the wp-config.php file you can change it manually or in the form fields. Salts and keys are held in the wp-config.php file which are used to authenticate users who logging in along with their machines. At some time, session cookies could be stolen to allow hackers pretend to be you. You can generate them and copy all the information into your wp-config.php file. (Click here for the information). If you do get hacked, you can restore your system to a previous version but only if you’ve backed everything. There are various ways to do this such as using VaultPress or a free solution like BackWPup. Everything must be planned and organised, particularly if you have a content-heavy site. You can use tags to link your content and limit the number of categories to have a simpler structured site. Caching is a significant to your load times which save the final HTML markup on a user’s computer and there’s no need to keep going to your database every time a page loads. You can add plugins such as W3 Total Cache or WP Super Cache to help with your site. If you are on an older version of WordPress, there’s probably a loophole that will be fix in the latest one. Download it now. For further information about this, visit this – WordPress Mistakes to Avoid.